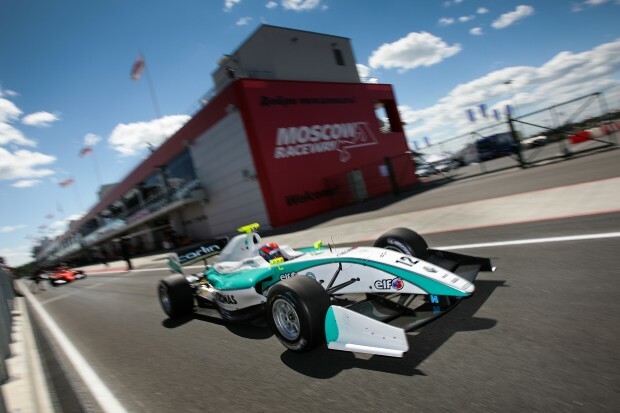 Jazeman wasn’t able to show his potential in Moscow at the weekend in the fifth round of the Formula Renault 3.5 Series, with the young Malaysian driver retiring with technical problems in the first race and finishing 13th in the second race. Jazeman, driving with the Carlin team, used the practice session to learn the Moscow Raceway track and headed into qualifying looking for a top ten lap time. However, in both sessions it was red flags that thwarted his attempts to secure a strong grid slot. It was the first visit to the Moscow track for Jazeman and after the two practice sessions he was 16th fastest of the 26 car field. In the first qualifying session with a late red flag flying the 20-year-old driver was only able to post 19th fastest lap time to line up in this position for the first race. Starting in the mid-field is always tough and Jazeman was only able to make up three places over the course of the race distance and struggled with his race pace. A suspected technical problem led the team to take the decision to retire from the race with five laps remaining. The second qualifying session proved equally as tough for Jazeman, again due to red flags, with 20th fastest time putting him in this position for the grid of the second race. He quickly made up ground on the opening lap to lie 15th by the end of it. Through the early laps of the race he continued to push hard and with some skilful passing manoeuvres was able to improve his position. Jazeman’s Carlin team used their experience to develop a strong race strategy, pitting the Malaysian driver later in the race than most of the drivers for his mandatory tyre change, and this, together with Jazeman’s pace on track, improved his position to ninth. As the laps counted down he maintained the final points-paying place, but on the final lap, an ambitious challenge from 11th placed driver, Norman Nato, ended with contact and a spin for Jazeman. He was able to recover from it, but had lost ground and crossed the line in 13th place. Jazeman will return to racing later next month and in the meantime continues with his training programme. He will join the MERCEDES AMG PETRONAS team for the Formula 1 British Grand Prix next weekend followed by his first visit to the Goodwood Festival of Speed.